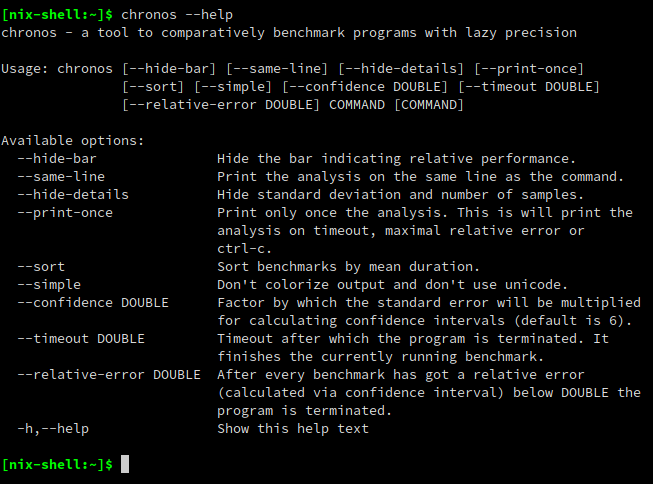 chronos will benchmark the specified commands until you abort it with ctrl-c or it reaches some termination criterion specified by the command line. It updates every iteration the measurements of the benchmarks so you can terminate it when you’re satisfied with the presented precision. It will intersperse all benchmarks for fastest possible overview and to distribute any external load over all benchmarks to improve precision.